Paulownia is a demanding plant. Therefore, a correspondingly careful preparation of the soil has a very positive impact on their growth. Depending on the location and planting concept different approaches result. 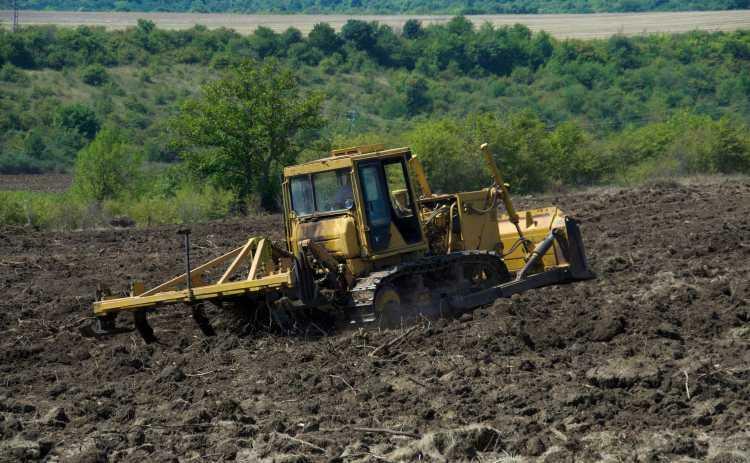 Field like treatment of the soil by whole-area plowing and subsequent planting bed preparation through rotary harrow or similar machines that leave a finely crumbled and well recompacted soil. This method is useful especially in case of planting of biomass plantations with high planting speed and low planting intervals. At biomass plantations the use of a mulch film is often renounced, so the highest priority must be given to the suppression of the development of weeds. By whole area turning around of the soil, the emergence of weeds is delayed. At the same time a plowed soil warms faster and releases many nutrients, which have a positive effect on the growth of Paulownia. Its competitive strength against the accompanying vegetation is thus strengthened considerably. Sites that have long lain fallow, or have an increased risk of erosion–for example steep slopes- should not undergo s whole area soil turning cultivation. Here a method with minimal ground engaging is recommended, which maintains the consolidated structure and natural hold of the soil through roots. The disadvantage here is the high competitive potential of the remaining accompanying vegetation. In particular root weeds such as couch grass, thistles and nettles have a very high harmful potential. Therefore, the surface of the whole area should be treated in advance with a total herbicide. In order to allow the optimal growth of the taproot of Paulownia in generally denser mounted soils, the easing of planting row by deep ploughing is recommended. The machining depth should be in accordance with the local conditions. The wide-open tracks are prepared for planting by means of a rotary cultivator. Here, too, a sufficient reconsolidation of the soil is necessary(such as a pipe packer on the cultivator). Despite the application of total herbicide, the area will soon be re-greening itself, so that the use of mulch film in this method is mandatory. Where the same site conditions are present as described under point 2, but the use of the described machine is not possible or is not worthwhile because of the small surface of the area, the process can be adapted accordingly. In this case holes are drilled with an auger of at least 60 cm deeth and 30 cm diameter. The auger cares for selective subsoil loosening. Either the planting hole is then replenished to the required height with loose soil, which must be re-compressed only subtly, or the plant is provided an underground nutrient depot by means of compost, manure or similar organic slow-releasing fertilizers,. This fertilization "under foot" can bring a distinct advantage of Paulownia particularly on very nutrient-poor locations. After insertion of the plant in the planting hole it is replenished until a small sink remains. To drill the holes, there are various possibilities. Most proven is to use an auger mounted on tractors or excavators, or manual motor devices that are optimized for planting.